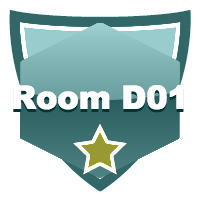 Welcome, Visitor, to Room D-01! Please note: During this entire school year, this site will continue to change and improve. All users of this site are participating in a trailblazing class of sorts. The Chief greatly appreciates you all for going through this journey together! This class will be as great as you make it. If you choose to bring your energies to this class daily, you will be rewarded. If you are brand new to the class…begin by clicking: HERE. If you would like to contact Ms. Kermode, contact information is located at the top of the website.